In the sixteenth and early seventeenth centuries, clerics gave lectures at the University of Salamanca on such topics as the varying purchasing power of money, the morality of money, and how price is determined. While she was teaching at the London School of Economics, Marjorie Grice-Hutchinson was urged to investigate early records of these lectures. Her study of the manuscript notes of these then-obscure lectures led to her interest in the development of economic ideas in early Spain and their subsequent influence on the rest of Western Europe. 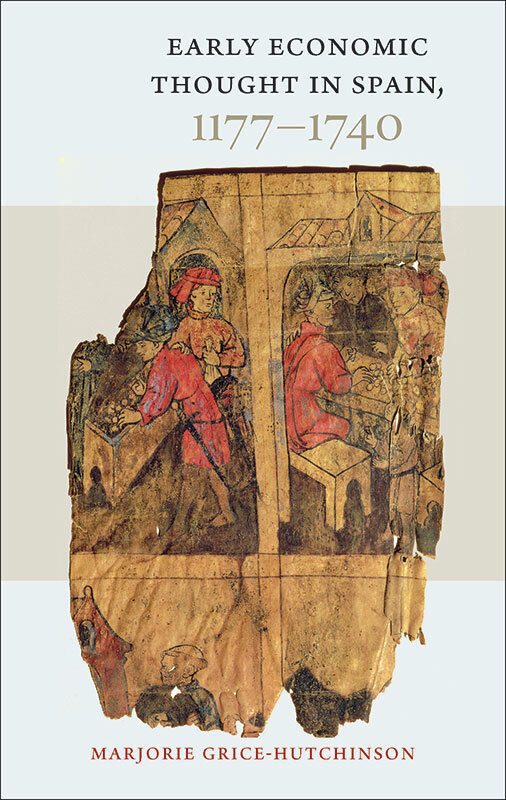 In the first part of the book, “The Middle Ages,” Grice-Hutchinson shows how the primary documents illuminate how the Christian, Jewish, and Islamic cultures that coexisted in the Spain of the time contributed to the making of modern Spain, especially with their doctrines about usury and business practices. She explores how scholars from all three of these cultures helped disseminate the economic teachings of Plato and Aristotle throughout Europe. Marjorie Grice-Hutchinson taught Spanish at King’s College, London, was head of the Spanish department and lecturer in Spanish at Birkbeck College, London University, and taught at the London School of Economics, where she received her Ph.D. on the monetary theory of the School of Salamanca under the supervision of F. A. Hayek. Original foreword by Marjorie Grice-Hutchinson, index.